ESTV Ltd, the holder of the local TV licence for London, will be allowed to make further adjustments to its local programme commitments on its London Live station after Ofcom gave the company the green light. A request to change its commitments was made in September, triggering a consultation on whether or not the changes would constitute a departure from the channel's character of service. It was the sixth request by ESTV to change its commitments since the launch of London Live in 2014. Finding in favour of the local TV operator, Ofcom noted that under ESTV's plans, there would be "little change to the service during the hours when most viewers are watching the service" - early morning and in the evening. London Live will be allowed to reduce the number of hours dedicated to first-run local programming, but will focus more of its resources on providing local news during the hours when most viewers are watching. Ofcom's green light came despite opposition from Channel 4 and Channel 5, with Channel 4 adding that the change "would move London Live away from being a channel designed to deliver local television, subsidised by commercially focussed content, to a commercially focussed channel that delivers an increasingly small amount of local television." Channel 6, a consortium that originally applied for the London licence, went as far as saying the changes would be "unlawful" in their submission to the consultation. 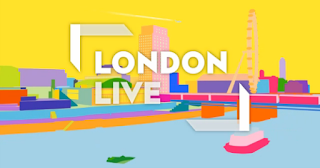 Concluding its decision to allow the changes, Ofcom added: "This is a finely balanced decision, and we would be concerned if, in future, ESTV were to make further requests for significant changes to its programming commitments which give effect to the character of the London Live service, particularly where those changes impact the amount of local programming provided on the London Live service." adjusting the hours of repeated local programming in peak-time from 1.5 hours to zero.